AMPD Resistance takes great music and combines it with simple resistance band movements to create a fun, effective total body workout that is safe for all fitness levels. 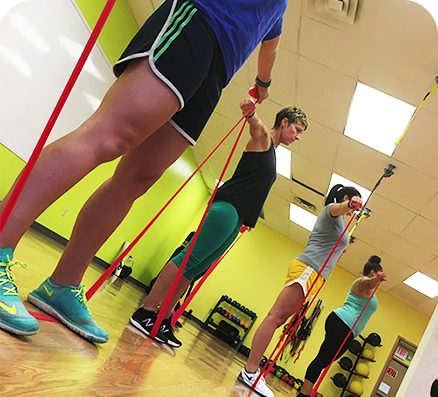 Resistance bands are a simple yet effective training tool. Lightweight, portable and fun to use, resistance bands offer many great benefits and when you add music the workout gets AMPD up even more!! Learn at your own time and your own pace through our pre-recorded video training. You are given a series of video tutorials that can review anytime, anywhere to learn at your own pace. Looking to spice up your workout, achieve a full-body impact, and finally enjoy your exercise routine? AMPD RESISTANCE classes work to give you the ultimate workout experience, all the while killing calories one song at a time!